IU Journalism professors David Weaver and Lars Willnat presented findings from their soon-to-be-released book, The Global Journalist in the 21st Century, for IU Telecom’s T600 Proseminar. The presentation provided information gleaned from a massive survey of nearly 29,000 journalists from around 40 countries. The survey covered topics on demographics, perceived roles of journalists, and ethics surrounding journalistic methods. 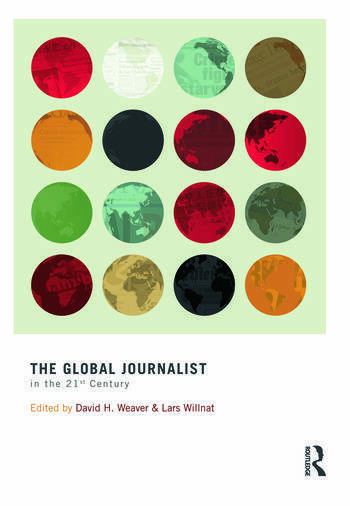 In sum, David and Lars found that U.S. journalists are notably different from journalists around the world. Compared to international averages, they are more likely to be older, male, married, and college educated. US journalists are more likely to endorse the occupation’s watchdog role and emphasize quick reporting. Finally, they are more likely to condone badgering sources, using personal documents, and undercover employment to find stories. Interestingly, the findings don’t reveal if countries are becoming more divergent or similar along the aforementioned topics. However, most countries endorse quick reporting and objectivity and believe that protecting sources’ identities is an important ethical boundary.